They say that behind every word is a story waiting to be told. When you hear the word "mutual," you probably think of a feeling or understanding between two parties that goes both ways. 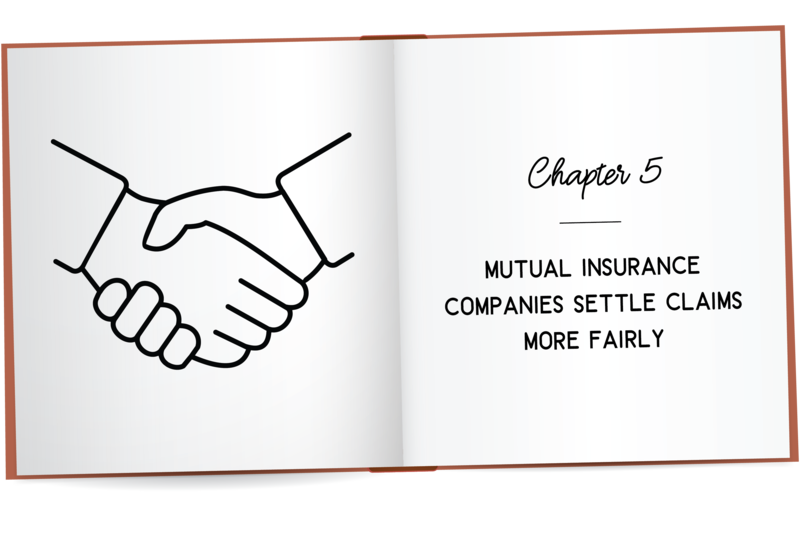 However, when we hear the word "mutual," we think of a type of insurance owned entirely by its policyholders, who therefore have the power to elect the directors and indemnify one another against loss. While those two perspectives are obviously different, the meaning behind the word is very much the same. This one word, believe it or not, gives us, as a mutual insurance company, a unique story to tell - one of united strength, stability, and trust - that sets us apart from the rest. And it all started here at CFM 150 years ago. But why should that story matter to you? Why should you trust a mutual insurance company to protect your life's most valuable possessions instead of one of the bigger, better-known insurance companies? 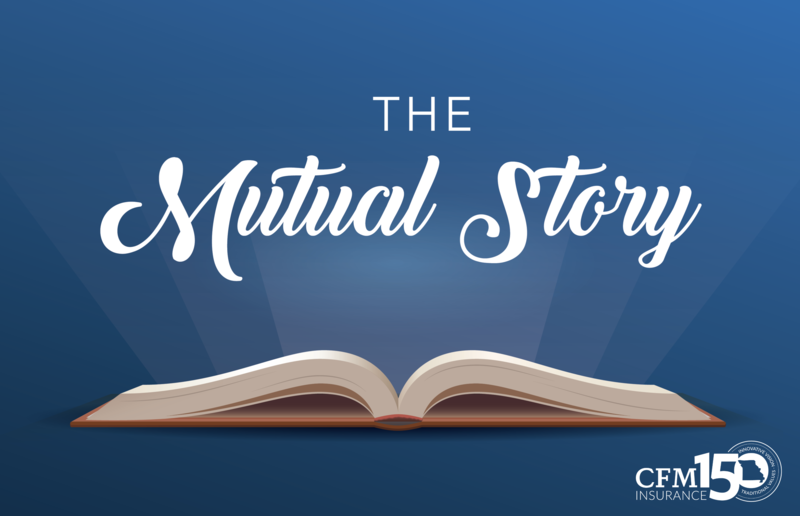 Let's open the book to this story and uncover the countless benefits of what makes the mutual difference, starting with how it all began. Mutual insurance is an idea whereby every man might help another, without any disservice to himself. Our foundation as a mutual insurance company, built so many years ago, was formed in line with Franklin's beliefs and it remains that way today. We are owned by our policyholders; therefore, they come first and are always treated with honesty and respect. Mutual insurance companies are part of Main Street, not Wall Street. They do not sell stock and do not list on stock exchanges. Mutuals do not focus on quarterly earnings reports because, unlike stock companies, there are no short-term financial performance pressures to earn a return on stockholder investment that apply to publicly traded companies. Mutuals’ focus on policyholders allows them to make financial decisions and commitments based on long-term goals of financial strength and stability that support policyholder satisfaction and retention. At CFM, our policyholders are considered members of our mutual "union," comparable to the structure of a credit union. So, as long as our members maintain their policy, they remain a part of the Mutual. Our policyholders enjoy enhanced rights like being able to vote in the Board of Directors elections every year, as well as being eligible to serve on the Board. We can't stress enough that our relationship with our members truly is a mutual one, that functions best when both parties are happy. While only 1 percent of businesses have lasted for 100 years, the median age of a mutual insurance company in the U.S. is 120 years. More than 60 percent of mutual companies are more than 100 years old. 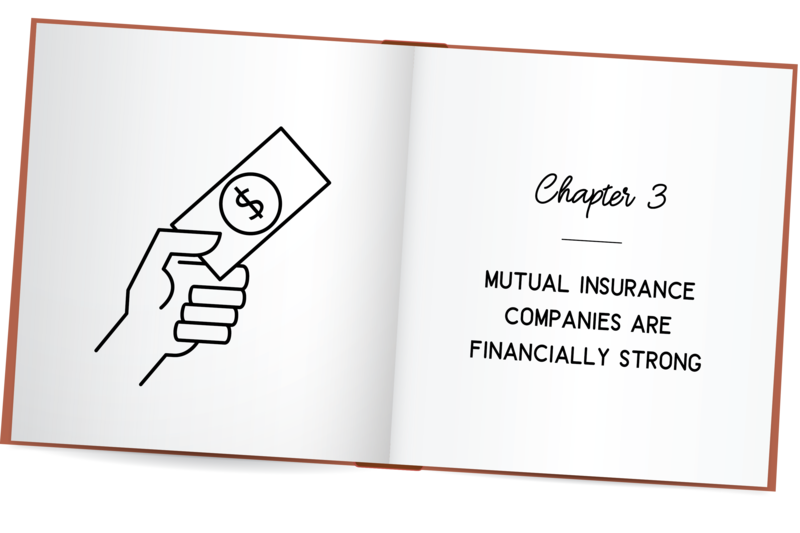 Mutual companies have a proven track record of prudent fiscal management, enabling them to remain a stable force in the market and a reliable source of insurance for policyholders. At CFM, we know Missouri and we definitely know insurance, as we've been working at this since 1869, exclusively in the Missouri market. That kind of makes us experts, right? As a company founded so long ago, we have worked hard to preserve and respect the history of the company, while steadily moving forward in a progressive nature to maintain the status as one of the best property and casualty insurers in the state. Throughout the years, our priority has always been centered around taking every customer experience into account, examining areas where we excel, along with areas where we could improve, and moving forward with enhanced strategies to better the company for all parties involved. This has allowed us to adapt to change with ease and progress right along with our policyholders on the never-ending journey of twists and turns that make up everyday life. Our goal for the next 150 years is to continue with that forward-thinking mindset while uninterruptedly providing great protection through modern insurance packages, ease of doing business with our agents, and simply being good to people. 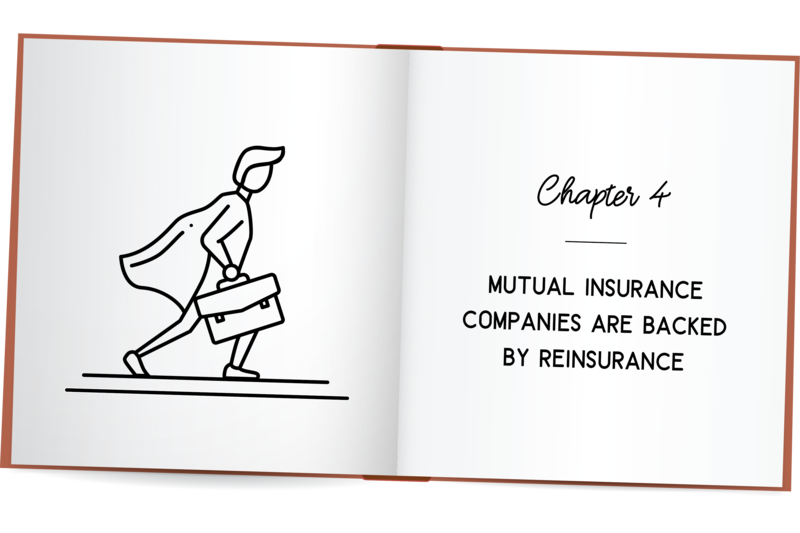 Another large factor that contributes to a mutual insurance company's ability to maintain financial stability is reinsurance. Did you know insurance companies buy insurance just like you do? Reinsurance, as it's called, helps insurance companies to mitigate the risk they assume when they insure your property. When a company experiences a great deal of losses, they may file a claim for reinsurance to help assist with the loss payments. This allows the company to maintain financial stability and continue business as usual. Because we have a strong reinsurance program in place for our 26,000+ policyholders, CFM Insurance has the financial strength you need and expect from your insurance company. We currently hold an "A - Exceptional" rating from Demotech, who specializes in rating property and casualty insurance companies on their financial stability. The ability to pay claims when they occur is part of that A rating as well, and it's something we're proud of. 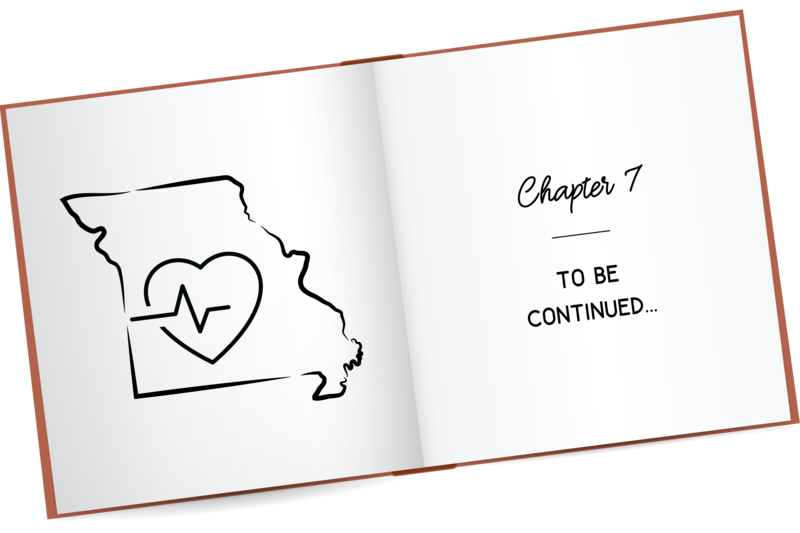 We will continue to be financially strong for our members because of reinsurance, and by keeping growth at a minimum, steady pace while spreading our risk throughout the state of Missouri. Because Mutuals aren't focused on meeting quarterly earnings reports and keeping investors happy like stock insurance companies, they typically have a higher rate of satisfied customers exiting the claims experience. 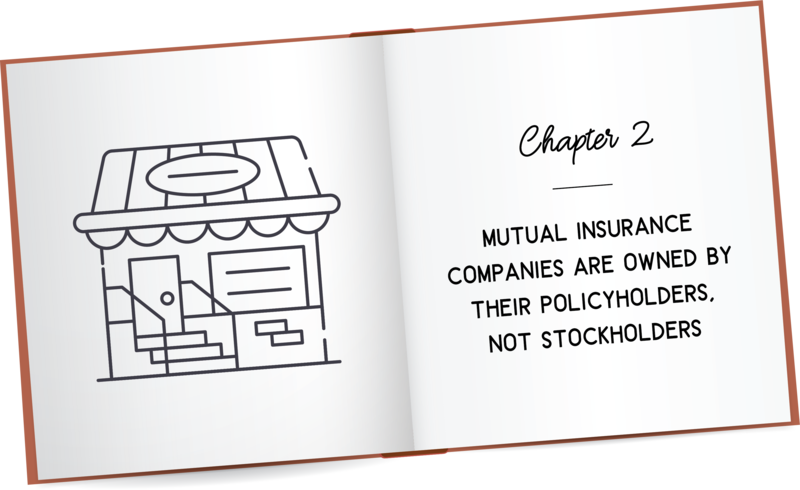 After all, it is in a mutual insurance company's best interest to make sure policyholders are treated fairly, first and foremost, as they each own [a share of] the company. At CFM, we pride ourselves on being honest, fair, and down-to-earth people, always keeping the customer's happiness in mind. We take care of our neighbors in their time of need, just as we'd wish to be taken care of if the roles were reversed - and that mindset makes for a quicker, easier, and more positive customer experience overall for our policyholders. Whether our policyholders have a simple billing question or need guidance regarding their policy, our team is always just a quick phone call away. Unlike the bigger, stock insurance companies, Mutuals rarely have extensive phone recordings for customers to travel through before reaching a real voice. That factor alone, being able to talk to a real person, quicker, is enough for many customers to switch their business to a Mutual. 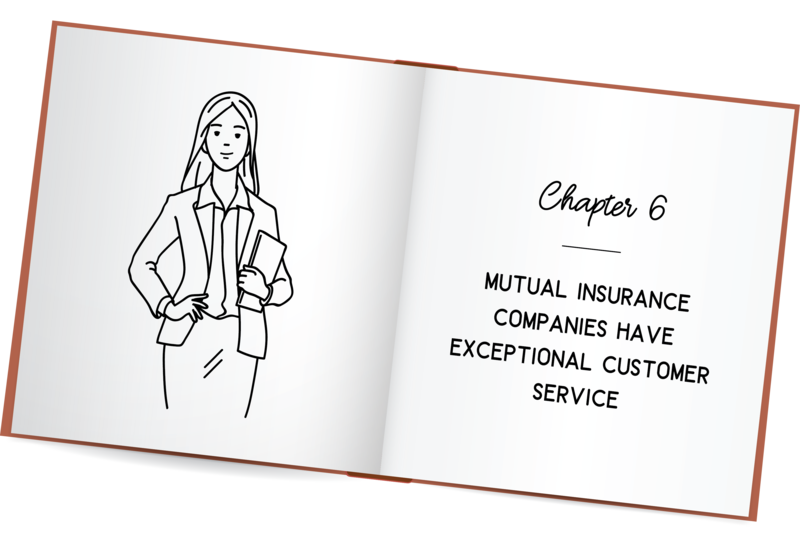 Along with having excellent in-office customer service, Mutuals have the help of their local independent agents to keep customers informed, confident, and happy in their insurance protection. At CFM, we like working with people we know and trust, and we'll bet you feel the same way. That's why we have built an extensive in-state network of 700 independent agents who live and work in the communities they serve. When our agents leave the office, they're coaching your child's ball team, volunteering at church, and fundraising for the local FFA chapter. They are everyday people who have worked hard for their homes, farms, and businesses - just like you. And that's why we trust that they are the best at providing reliable and honest service for our policyholders. 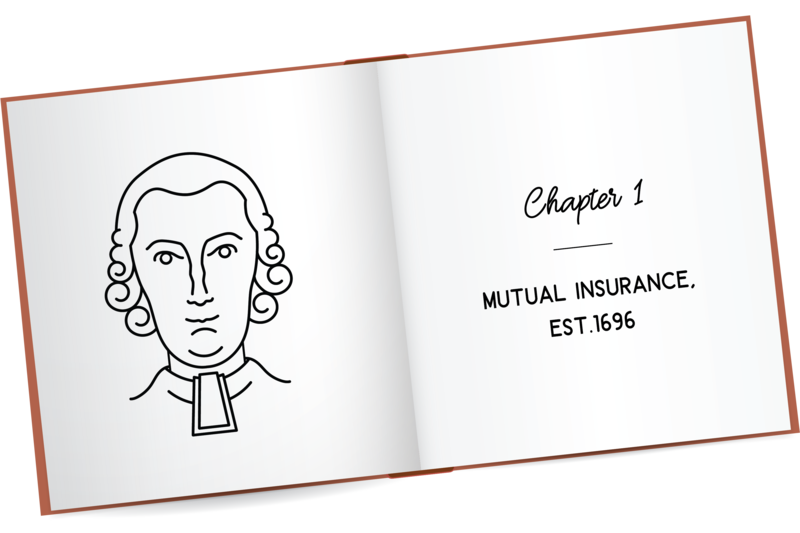 As you see, mutual insurance companies have come a long way since their humble beginnings. From only protecting against fire loss, to providing coverage against almost every peril imaginable, mutual insurance companies have proven to be an indispensable service to those in search of stability and trust from an insurance provider. At CFM Insurance, our story is far from over. We will continue, for the next 150 years, to cheer when you flourish, fight when you need a hero, and encourage you to grow because we're ready to grow with you. We're in this with you for the long haul, no matter where life takes us. Experience the CFM Mutual difference by finding an agent near you, today.